For the second time in the last three months, the USPTO has declared a patent previously awarded to Apple, as being invalid. Back in October, the USPTO ruled that the '381 rubber-banding (overscroll bounce) patent was invalid. Back in August, Hogan's Heroes, aka the jury in the Apple-Samsung patent trial, ruled that Samsung infringed on this patent in reaching its verdict. Now, the USPTO says that the '949 patent, aka the "Steve Jobs patent," is also invalid. That patent is for a "touch screen device, method, and graphical user interface for determining commands by applying heuristics." In late October, the patent was declared valid by an ITC judge who also found that Samsung had infringed on it. The '949 patent was going to be used by Apple against Motorola except that the judge found part of the patent invalid and said that the minor infringement that Motorola could be found guilty of would not warrant injunctive relief. Even though that trial was canceled, Judge Richard Posner banned the use of the name "Steve Jobs patent" when referring to '949 before tossing the case. The two rulings against Apple are both preliminary and are not final as Apple can appeal the decisions. Still, this news can only be good for those who have found themselves staring at Apple's legal team on the other side of the courtroom. In fact, considering Judge Lucy Koh's apparent disdain for how Hogan's Heroes computed the $1.05 billion it awarded to Apple, we wouldn't be surprised to see the size of the jury award lowered significantly. Apple had 20 claims on each patent, all 40 of which are now ruled invalid by the USPTO. Good news! And I think that USPTO should review all Apple patents, I'm pretty sure that they would find even more invalid patents. iTotally disagree!! How is Apple supposed to innovate if all of their patents from stolen ideas are found invalid. I'm looking at the bigger picture of iPhone 15VD and, quite honestly, it would be nice to have Multi Window functionality on a Super Retina 4.2" screen; or, it would be super cool to be able to edit photos with special messages in iNotes; and, I'm really looking forward to being able to FaceTime over 4GS LTE. None of this will be possible if all of their patents are iNvaliDated. Besides, what I don't understand is why haven't they iNvaliDated the black turtle-neck?? +1 from me, That is true, well said, Lmao....! Non innovative? So why does Samsung and other companies continue to copy them? The answer is simple. They don't. Folks like yourself simply rationalize it that way because you can't accept the truth - that Apple stopped innovating after the first iPhone, and the competition has passed them like they're standing still. This is bad for business. They have those patents for a reason. "This is bad for business." Fo Apple business. "They have those patents for a reason." Of course Apple have them for a reason and no one deny it but those patents are invalid. A patent is required by law to be for something new, unique, innovative, worth no prior art. 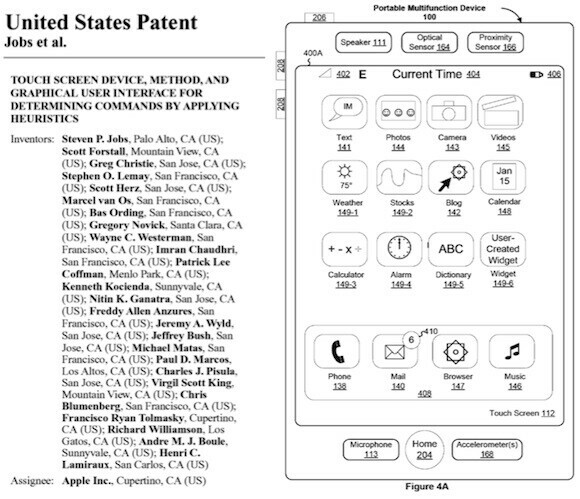 These patents (and many more of Apple's) do not meet that standard. As this patent and the bounce back patent weren't dumb enough, its time to invalidate slide to unlock and these ridiculous design patents. If the USPTO would stop issuing every single patent apple files for half if not most of these lawsuits and hunded of wasted man hours could be avoided. Long live the bot!! Apple may not see even $300 million, given this invalidity. The trial verdict may end up a Pyrrhic victory. Also.... The Apple-HTC settlement may be of no further effect. Too much redaction of the publicly available copy to tell, but.... If so, HTC may be better served to breach the agreement and just move on. I wonder if HTC is considering asking Apple for a refund? Ha! This is some news! 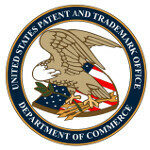 Glad to see the USPTO is stepping up and invalidating bogus patents. The only thing bogus here is the decision. And it should have been invalid. I mean cmon.....Apple didnt invent it or innovate it enough to call it their own. That 1 billion settlement certain fans bragged about....some of us said it isnt over yet....lol. I see that amount getting alot smaller. about time. start going after every apple stupid patents. I suppose a Reality Distortion Field is similar to any other bubble... they're all subject to popping/deflation eventually. I envision some groggy clerks at the USPTO waking up, rubbing their eyes, looking down at their paperwork and thinking to themselves, "Ohh, what did I do last night? Hey... Hey who stamped this? I did?! The frig was I thinkin'?!" Where's the Apple Attorney by name of myxpytx (or something like that) on this board ?